The above 8 players would make the team if the tournament was held today. The above 7 players would have failed to qualify via the point system. The above 8 players would have failed to make the team via The Rolex Rankings. The ten players above, highlighted in red, would all be playing if the Solheim Cup was held today. That is a very different different look from the 2011 team. Thompson, Korda, and Salas would be Solheim Cup rookies. Julie Inkster, Vicki Hurst, Michelle Wie, Christina Kim, and Ryann O'Toole, who were on the 2011 team, would not qualify. Now is where it gets even more interesting. Captain Meg Mallon, will have to choose 2 players to add to the team. Here is my opinion on what she should do. 1- Pick Gerina Piller. This is a no-brainer, Gerina already has two top 10, and 4 top 25 finishes in her 6 starts this year. Her massive length off the tee would serve the U.S. well. 2- The second pick is more difficult as there is no clear cut choice. Do you go with youth or experience? Assuming that Piller is picked that would be 4 newcomers already on the team. So what? I am going to go out on a limb here and pick Danielle Kang as my second pick. She does have a top 5 and 2 top twenties this year. I know her results are still a little inconsistent, but at 20 years old she may be the breath of fresh air the U.S. team needs after being defeated in 2011. To sum this up: Gone would be Vicki Hurst, Christina Kim, Julie Inkster, Ryann O'Toole, and Michelle Wie. Replaced by Lexi Thompson, Jessica Korda, Lizette Salas, Gerina Piller, and Danielle Kang. I sure like that 2013 team better than the team the U.S. fielded in 2011. What do you think? It is said that, "Driving is for show, and putting is for dough." Never is that more evident than when looking at Inbee Park's statistics for this season. Inbee is ranked 82nd in driving distance and 71st in driving accuracy. 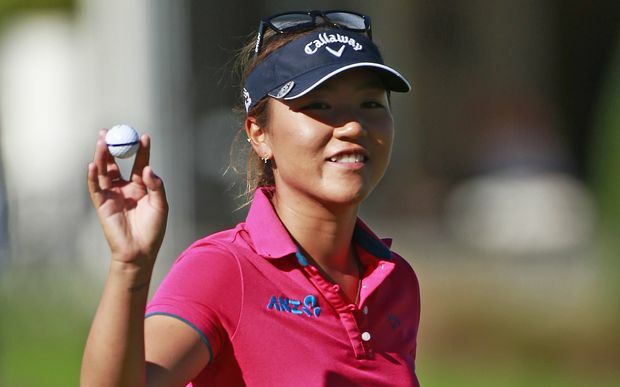 She is #1 in putts per greens in regulation, and second on the money list. Paula Creamer has played 20 rounds of golf so far this year. She has shot in the sixties in 11 of them. That is 55%, and leads the entire tour. 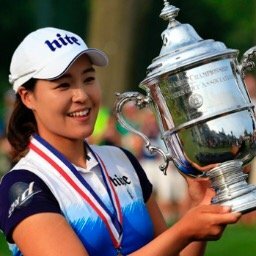 Inbee Park moves from #4 to #2. So Yeon Ryu jumps from #9 to #5. 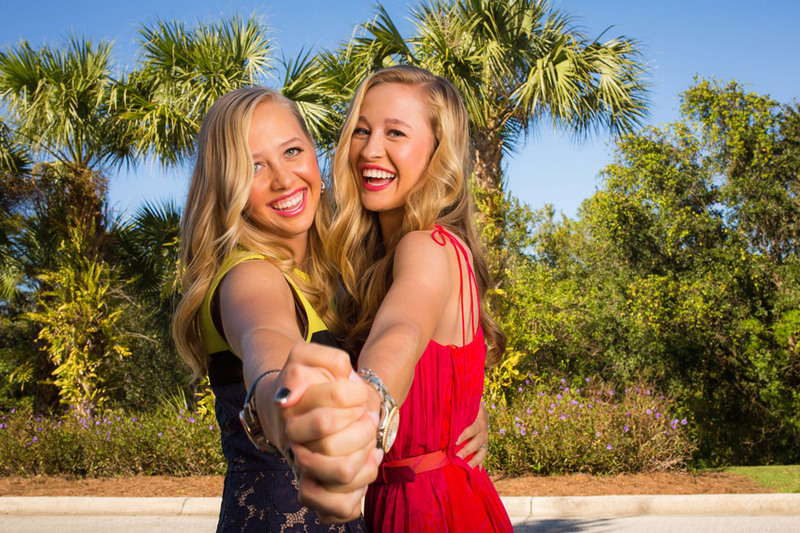 Caroline Hedwall leaps from #39 to #28, and Jodi Ewart Shadoff rockets from #112 to #74. 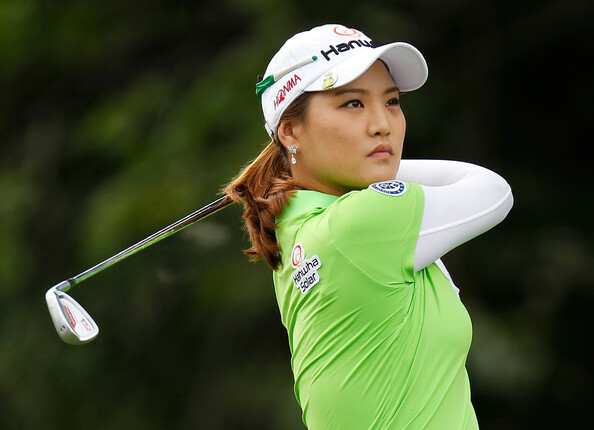 Going in the opposite direction, Shanshan Feng falls from #5 to #8, and Ai Miyazato (who failed for the 32nd time to win her first major), tumbles from #6 to #9. Julia Sergas has finished T4, T9, and T7, in her last 3 tournaments. Karrie Webb has 2 consecutive top tens, and four consecutive top twenties. Paula Creamer has 4 consecutive top 20 finishes. Catriona Matthew is the only player to finish in the top 25 in every tournament this year. Brittany Lang's best finish this year is a T37. She has already missed 3 cuts. Mika Miyazato has yet to finish better than T33 so far this year. M.J. Hur has missed her last 3 cuts, her best finish is a T38. Jennie Lee has made only one cut this year, and that was a T66. Mindy Kim hasn't made a cut yet this season, missing all 4 she has played in. Very interesting, Tony. I see your logic, but the caveat is if the SC was played now. I can see some movement happening in the points and even Rolex to push another veteran or two into the Captain's pick file. Is it just me or do you see the weekly Rolex numbers being more volatile than in the past? Especially from rankings #50-100. One very good week has some high reward these days. Glen, you make a good point, as usual, there certainly is time for a veteren such as Stacy P., or Katie Future to sneak in. If truth must be told, I am rooting for the new blood. The Rolex Rankings hasn't changed any of their rules as far as I know, but you are correct, there certainly seems to be some huge movement in that area. Hmmmmm....it figures the only respondents so far are Canucks...LOL....yes, we Canadians appreciate women's golf. I like the current team as we speak....up to #10 with Gerina. If I was captain....I want youth, moxy and length. My two captain picks, #11-12, would only play 4ball and sit out 4somes....length is an advantage in 4ball....especially in the thin Colorado air. Therefore, my 2 picks possessing my 3 above criteria are Kang & Sydnee. On another note...I hope Lotta chooses as a captain's pick...Belen...why?....just because....nuff said. My only other SC wish.....I hope either Tutta or Caro crush/destroy Kerr in singles. Mr3putt...always good to hear from you. I think Belen has a pretty good chance of being picked. I think Azahara and Beatriz will qualify via the Rolex Rankings. As far as you being a Canadian....I won't hold it against you, even though you stuck us with Justin Bieber. Hi, Tony. This will be your first American responder. I like your selections. What I am afraid of is that outside entities-Nike and Golf Channel-will try to force Meg Mallon to include Michelle Wie if she doesn't qualify, (and right now, despite the best efforts of GC to spin her making the cut at the KNC as progress, the facts are that this was the first cut she made at an event where there was a cut. She also has only shot 1 round in the 60's this season.) simply because of the belief that she can draw attention to the SC. To me, that is akin to the New York Jets picking up Tim Tebow; and if you follow the NFL, you know what a mess that was! There is no logical reason why Wie-or any of the other players you mentioned you wouldn't take as a captain's pick-should make the team. I hope Meg-and assistant captains Laura Diaz and Dottie Pepper-are strong enough to do what is best for the team and resist the efforts to bring the team down with bad decisions. Blue Falcon.... I understand your point regarding the fact that Michelle, at this point, shoud not make the team. In fact I am in full agreement. I just don't agree that Nike has any influence at all on Solheim Cup matters.